Parking will be at 8400 Lorton Rd. As a means of showing an equestrian community support for the future Laurel Hill Regional Public Equestrian Center, the NVCEO will host a charity trail ride and tail-gate event on November 8th. There is no set fee for the charity ride. We are more interested in sharing this property with the horse community than we are with raising funds through a ride fee at this time. 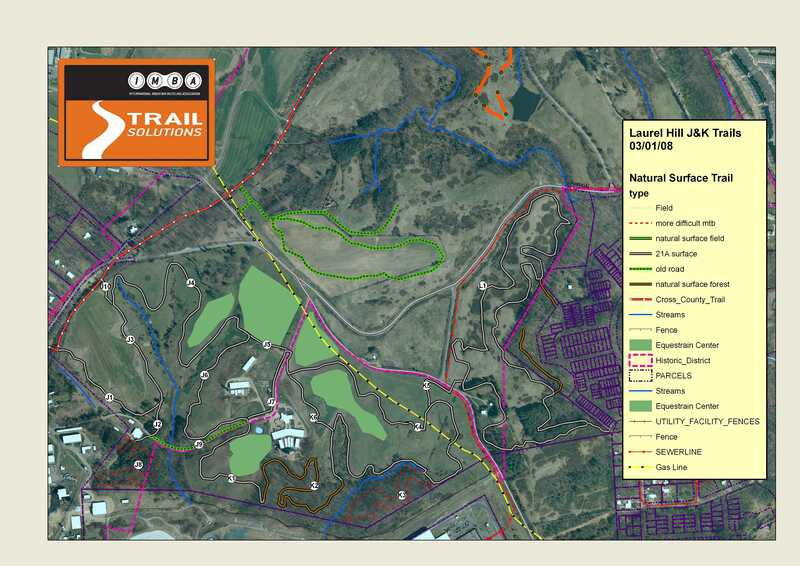 We want you to come out and experience this beautiful site, the initial trails that are being developed, and the vision of the future Laurel Hill Regional Public Equestrian Center. 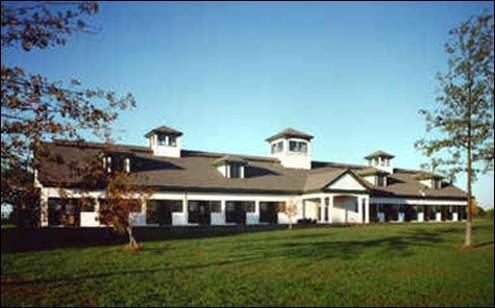 This facility will be the site of the NVCEO “Great Escape” Equestrian Challenge in the Spring of ’09. Pitch a few dollars into the hat when you get there or save your dollar for the Spring “Great Escape” Trail Challenge, it’s your choice. The only requirement is that you show up to demonstrate support for this future Fairfax County regional equestrian park. Although it is not required, feel free to bring a tail-gate dish to share. Jimmie Jones, NVCEO President, will be bringing a huge pot of his famous chili. He says it will be the best chili that you have ever eaten, but we will let you be the judge of that. We hope that you will support this November 8th event even if you don’t plan to ride. Come out – show your support and be impressed with what has already been accomplished as we move toward the funding goal of this future regional public equestrian facility. Laurel Hill Park has been springing up over the last few years. This large property has already developed small neighborhood parks, Resource Management Areas, the 55-acre Lorton Arts Center and the Laurel Hill Public Golf Course, a public course occupying 280 acres and is touted as a high-end masterpiece that rivals any course in Northern Virginia. The Laure Hill Regional Public Equestrian Center is still waiting to get off the drawing board. This portion of the Laurel Hill property is envisioned to become a top-notch regional public equestrian riding facility to include training and competition rings, barns, trails and riding programs. However, the facility will only take off with the support of the equestrian community. Kirk Holley, Manager of Fairfax County Park Authority Department of Planning and Development has stated that the Park Authority does not have funding to move this project forward without a dedicated public partnership with the Park Authority by the horse community. All donations from the November 8 Charity Ride will go directly to the Laurel Hill Public Equestrian Center Fund. The new Laurel Hill Park offers a terrific opportunity for establishing the first public riding lesson facility on county parkland in Fairfax County. 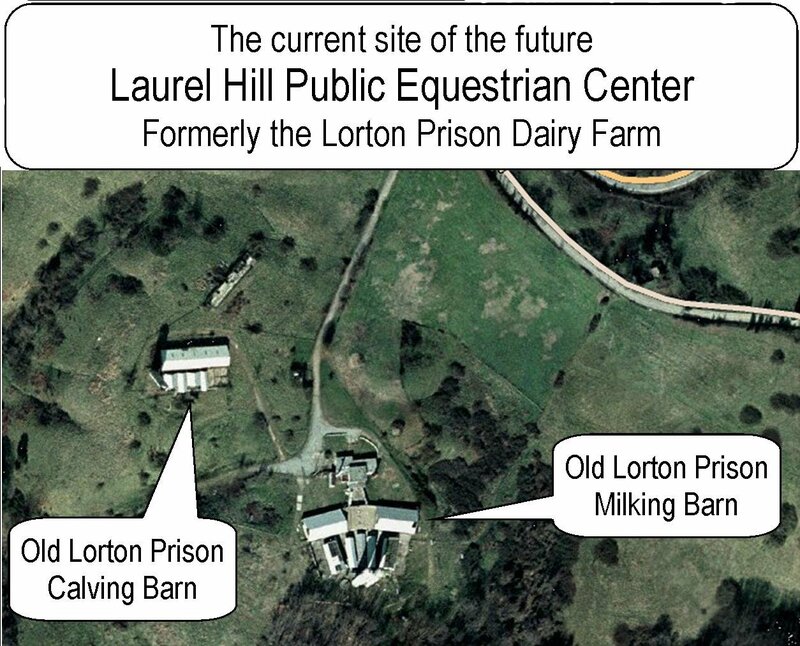 The site is the former Lorton Prison dairy, which produced milk for the prison and nearby community at one time. With its rolling hills and access to trails, Laurel Hill Park is ideally suited for horses. The Equestrian Center will celebrate the site’s history of agriculture and animal husbandry. 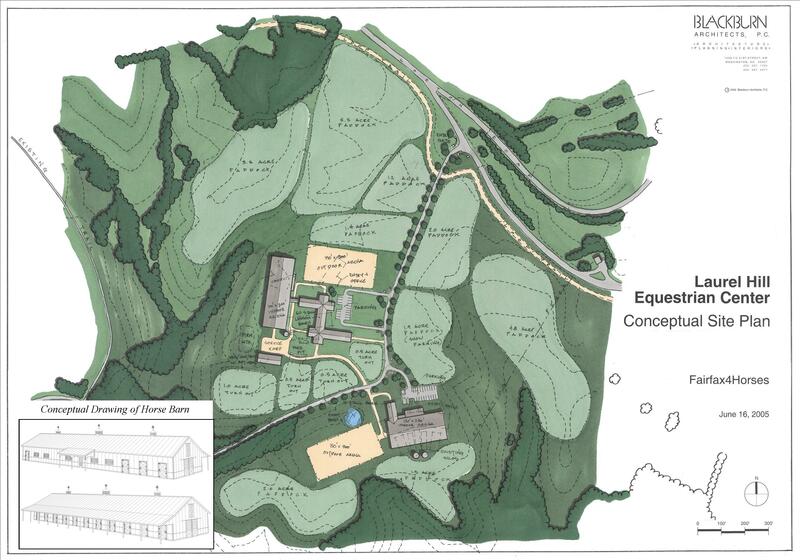 The conceptual plans for the Laurel Hill Equestrian Center include a barn for the lesson horses. 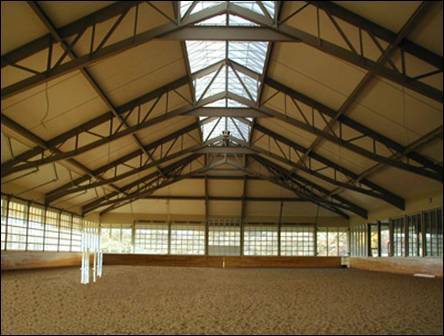 The barn will be attached to a large indoor arena to accommodate lessons and activities year-round. The facility will also have outdoor arenas, a round pen, a cross-country course, turn-out paddocks, fenced fields, and trails. Other potential programs could include: beginner through advanced riding and horsemanship lessons; summer camps for county recreational programs; at-risk youth programs; 4-H and scouts programs; home to local college equestrian teams and possibly a therapeutic riding center.